It’s no secret that tractor trailer drivers are often on tight deadlines to move freight fast. In some cases, the items they’re carrying are perishable foods and if the cargo isn’t on time, the trucking company risks spoilage. Trucking companies sometimes make unreasonable demands of drivers as well, forcing some of them to drive without the sleep they need to stay alert and drive safely. The news program 20/20, which is part of ABC News, aired a report recently on the dangers of expecting truck drivers to operate an 80,000 pound vehicle with very little sleep. This eight minute news story exposes the dangers of driving too fast and driving while exhausted. The ABC News crew spent time with the Ohio State Highway Patrol, spotting truck drivers violating the law by helicopter and advising patrol officers on the road to pull truckers over. In one case, a truck driver was going nearly 80 miles an hour and driving far too close behind a passenger car. If the car had stopped suddenly, the accident could have been catastrophic. 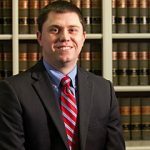 The Kentucky Court of Appeals has overturned a lower court’s Order granting summary judgment in a car accident insurance dispute. In Embry v. State Farm Mutual Automobile Insurance Co., two women were involved in a traffic wreck that resulted in injuries. Following the accident, one of the drivers filed a claim for medical and other damages from her automobile insurer. The insurer paid the claim and proceeded to file a lawsuit to recover the money it paid to its insured from the other driver in Jefferson Circuit Court. According to the insurer, the defendant’s negligent actions caused the car crash and all resulting damage. Although the defendant repeatedly denied responsibility for the collision, the insurer filed a motion for summary judgment with the circuit court. A motion for summary judgment asks a court to rule in favor of one party to a lawsuit without proceeding to trial because no genuine issues of material fact exists for a jury to decide. Normally, a court is required to consider all of the evidence offered prior to the filing of such a motion in favor of the non-moving party. In its motion, the insurer claimed the defendant caused the crash and asserted that the amount of damages paid to its insured was reasonable. The defendant opposed the insurer’s motion by stating her alleged liability was unclear and the financial compensation sought by the insurer was excessive based upon the severity of the wreck. In addition, the defendant argued that her answers to the insurer’s complaint demonstrated that the facts of the case were disputed. The circuit court granted the insurer’s motion for summary judgment and ruled in favor of the company. After the Jefferson Circuit Court denied the defendant’s motion, she filed an appeal with the Kentucky Court of Appeals. A case involving negligence per se, as opposed to ordinary negligence, occurs when a defendant violates a law or regulation and that violation causes an injury. In Kentucky, the plaintiff in a negligence per se case must be a member of a class of people that a regulation is designed to protect from injury. The violation of the law or regulation must have caused the plaintiff’s injury. The applicable regulation or law defines the relevant standard of care in a negligence per se case. In a 2012 case, the plaintiff invoked negligence per se in a motor vehicle accident. The plaintiff claimed that the defendant failed to stay on his side of the highway or give her half of the highway, as a statute required, and therefore he was negligent per se.